Jorcks Ppassage was designed in 1895 by Vilhelm Dahlerup. The iconic building complex was built for retail on the ground floor and offices on the upper floors and it still serves the same purposes today. 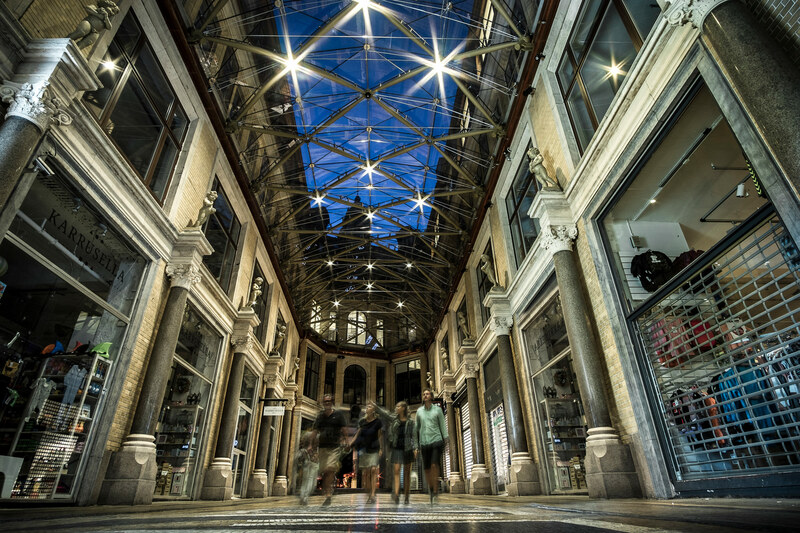 In 2014 DesignGroup Architects designed the magnificent glass roof that now covers the courtyard. The detailing and materials match the rich decoration and the wealth of details in the courtyard. 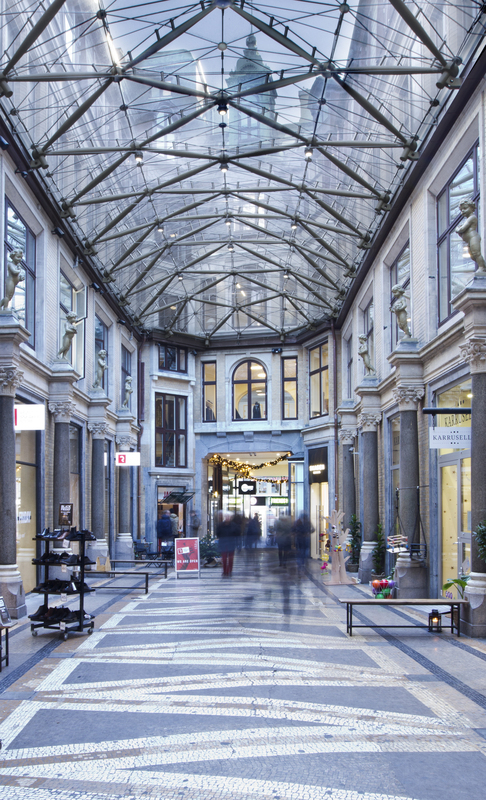 The glass cover protects the beautiful original mosaic floor and still allows the urban space to be open and in connection directly with the surrounding pedestrian streets. Over a number of years DesignGroup Architects has has restored and renovated the buildings. The offices have continually been renovated to live up to modern standards and meet contemporary demands and standards. The characteristic pillar and beam construction in the eastern part of the complex has made it possible to create large open plan office spaces to accommodate modern requirements. The main access staircases have been renovated and the property now has its own unique signage that contributes to the special character of the complex. 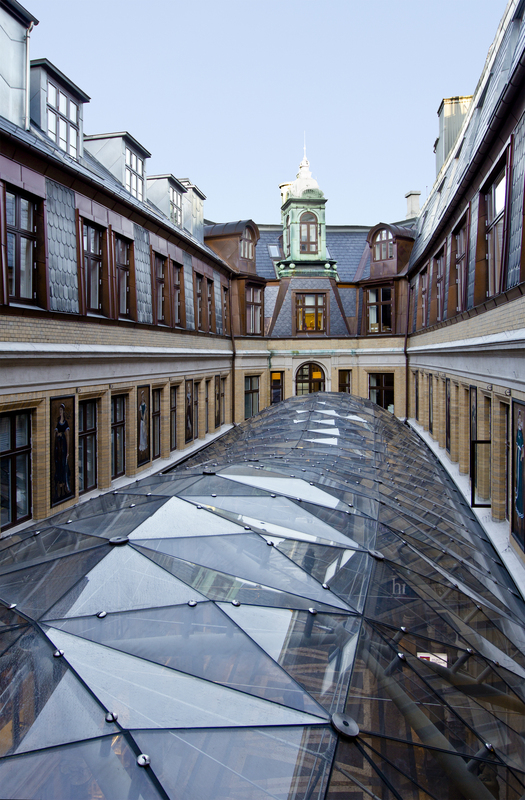 In 2015 a roof terrace was added with access for the use of all the buildings’ tenants and with an exclusive view over Copenhagen’s rooftops.